The Fermonster is a brand new fermenter designed specifically for fermentation. MoreBeer! gave product feedback for over 2 years of development and we think they nailed the design. The large lid allows for easy filling and makes hop or oak additions a breeze. The smooth sides are fantastic for sanitization - no ribs or texture to collect yeast or bacteria. The large 7 gallon size was designed to provide ample space for fermentation and you'll find the molded in volume markers super handy for accurate filling. The punted bottom allows sediment to collect to the sides so that you can siphon liquid from the center. Because they are made from virgin PET plastic they nearly unbreakable and a lot safer than similar glass carboys. Also notice the conical top which reduces surface area if you plan to store beer or wine long term. 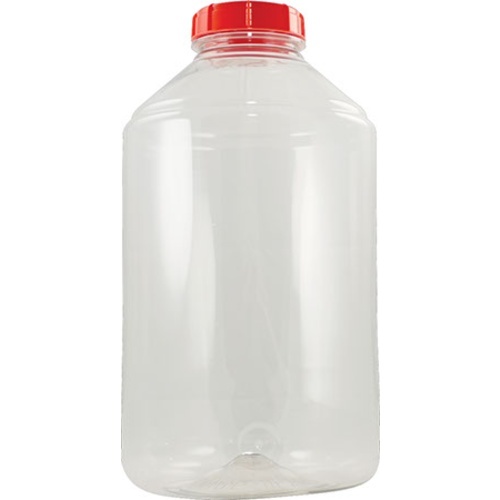 4" inner diameter wide mouth carboy - easy to clean! FerMonster Carboy - 6 gal. Skimpy little o-ring that doesn't quite seem to fit. Tried to remove lid on one to dry hop and the ring peeled itself out of the groove and dropped into the beer as I turned the lid. Lightweight and cheap, but not good. Glass carboys are way better. I like mine, way easier to move around than the glass carboys, and safer. I'm probably about 10 brews in on it at this point and it shows no signs of wear anywhere. As others note, the lid can be tricky. You have to tighten it quite firmly to get a proper seal. Then, because the lid is so big its hard to get a good grip on it by hand to loosen it. My solution is to use a big woodworking clamp like an oversized wrench (I have 48" ones in my shop). I grab the lid with that and it twists off super easy - leverage FTW. Sounds like they've created a special tool that basically does the same thing now. If they redesign anything, it should be the inside of the lid. 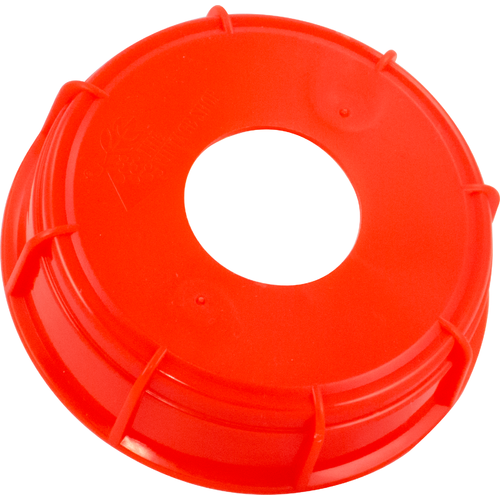 The o-ring is too thin for the large diameter of the lid. They need to make the o-ring thicker (like you find on the inside of a keg for example) so its easier to get a seal AND so its harder to distort the o-ring while you're installing it. At any rate, the price point was good for me, and I'm making it work for my purposes just fine. The extra head space is great, no more blow off tubes for me! I noted from the reviews that most people use this product for beer. 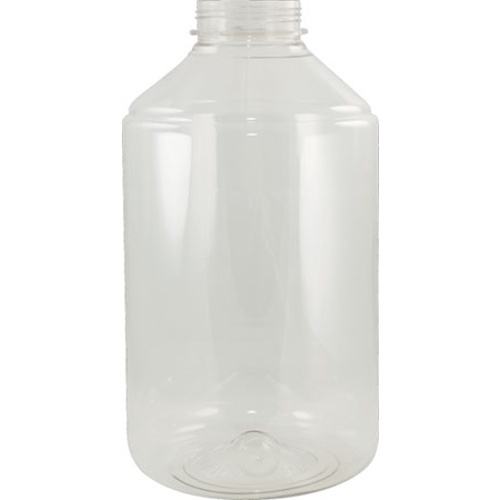 I bought two to replace some old and very heavy 7 gallon glass bottles, mainly for storing wine between fermentation and bottling. Seven gallons is too small to be a primary wine fermentor. The problem with storing wine in this product is that the large top creates a large place for air to sit on top of the wine and cause spoilage. The level in all wine storage vessels will change with even a modest change in temperature. So if filled to the brim in September, by November when the cellar temp has dropped, there can be a 1/4 inch air gap. If that gap is topped up to the brim again, it will overflow when the temp warms up in the spring. One so-so solution is to place a sheet of food plastic wrap loosely over the wine and carefully screw the top on so as not to rip the plastic. If you are having trouble unscrewing the top, buy a strapping wrench. It's a handy tool to have around. I like the wide mouth which is good for adding fruits and other things without trying to shove it in. The only issue I have is that the O ring is slightly larger than the seat so much so that it doesn't fit right inside the lid that you don't get a good seal. I just had the O ring fall into my chilled wort, lucky thing it was sanitized (I didn't even bother fishing it out since it fell to the bottom). Lastly, (more of a caution) if you ferment outside an enclose fermenter, there is a possibility of mold/dust/bugs, etc. growing inside the spigot, so I always use a siphon now. Very easy to use and easy to clean. Sometimes lid is hard to remove but does not take away from quality and ease. I plan to plan to buy another. Couldn't get the lid off without squeezing the fermentor. I turned the lid and it was so tight that the 6 gallons of beer in it spun with the fermentor on my basement floor and scratched the bottom badly. I had to squeeze the fermentor really hard to get it off and that made me nervous because its a pretty thin plastic. The lid is obviously a problem since now they have a tool to help you remove it. The large opening is nice but I can't see this lasting long at all. Over the last 9 years of brewing, I have gone from glass to plastic fermenters. Have a number of better bottles which work well, but cleaning can be a pain at times and a blow off tube is necessary on almost all ales. Have a Spieidel which I like and the built in handles work well plus is large enough to not need a blow off, but have continued to have problems with leaking from the spigot. The Fermonster has solved those problems. No need for a blow off tube, and cleaning is a snap. The sprayer on the sink gets most of the crud off, and I use a microfiber cloth and PBW. I feel better being able to scrub the inside rather than just letting the PBW soak. I use a Brew Hauler strap which works great. The gallon markers on the outside are difficult to see, so I outlined them with a Sharpie and that helps a bunch. The only downside is the seal on the lid. The O ring is properly seated, but sometimes it works and sometimes not. No big deal as it does not affect the fermentation. Have seen on the manufacturers website a handle for tightening and loosening the lid, but have not found it on More Beer or anywhere else. Overall, satisfied with these and feel they are the best option out there. Glass carboys, no problem, I've lost track of how many brews. FerMonster...lasted five brews before the bottom cracked (never miss-handled or dropped it) and it leaked out into my fermentation fridge. I was able to save about half of the brew by transferring into a glass carboy. Cheaply made product, I highly recommend NOT buying. Stick with glass or stainless, or even buckets! I purchased 4 of these to replace the buckets I had been using for the last 7 years. The 7 gallon size is perfect for 6 gallon batches with enough headspace for the krausen. The markings are accurate. As others have said, the lid can be very difficult to get off when you put it on too tight. I have found that barely hand tight is enough to get a seal with the o-ring without requiring hulk hands to remove it. The large opening is fantastic for everything from pitching yeast and dry hopping to cleaning and drying. For the price, this fermenter can't be beat. I've been using a Speidel over the past year and have been very pleased with the extra head space and the durability. I was hoping for the same with the FerMonster, but it's just not there. It feels cheap like I'm holding onto a an empty two liter bottle, the measurement marker is not accurate, the rubber gasket doesn't fit to create a seal, and the cap cracked on only the second time using it for a primary. I'll stick with Speidel fermenters from now on. So I picked one of these up a while back and have brewed a few batches with it and I am impressed. It's plastic, so no worries about dropping it and bleeding out. Smooth sides make for easy cleaning. The punted bottom really does make siphoning out clear beer much easier. Good seal on the lid, haven't had any problems with it. My only downside to this is the side of the opening. Yes, it's much larger than a regular carboy but it could be a wee bit bigger. I'm not a "sun's out, guns out" person but my arm is a bit bigger than the opening. I can still reach the bottom and clean this with a cloth but I have to jam my arm in. If you're a pro cyclist with those skinny T-Rex arms, this will be perfect. All in all, I'm super happy with this thing and wouldn't hesitate to recommend it. Call me very impressed just got done kegging an ale and it took all of 20 seconds to perfectly seat my auto siphon in the middle of the Fermonster. It also stayed seated! It was the first time ever that not one touch of yeast or hop matter made it in my keg. I guess the Spigot would be cool too on them but not needed ! I will be buying more of these fermenters. The only thing I didn't like is some imperfections on the seam. The volume markings have to be highlighted with a sharpie to see them. Just finished a 1.050 beer, vigorous fermentation, absolutely no air lock activity. Put the lid on hand tight, after a day, tried to adjust it to see if it was not tight enough and could turn it at all. Sorry I bought this. Finally, after trying every fermenter on the market (except a conical or a Spiedel), I have found one I truly enjoy. 2) Large Opening (you can use a cotton towel). No brushes needed. 3) 7 Gallon Capacity. Blowoff tube only needed on truly huge beers. 4) Smooth Sided! Some other plastic fermenters can accumulate hop/yeast material in the shoulder/textures of the body and no amount of PBW soaking and gentle brushing can remove it. 5) Gasket in the lid makes it air tight! Some others try with silicone push-down seals or a non-gasket lid(which don't work), but this one finally does the trick! Don't use the standard #10 bung with this. It won't stay seated even when dry. You will want the Buon Vino Medium Stopper instead (or the Better Bottle Medium Bung...essentially the same thing). Started with a glass 6.5 gal fermenter, decided to pick up one of these from my LHBS a couple months ago. After using it a few times I decided to ditch the glass completely and get a second Fermonster. The 7 gallon size is great, a little extra headspace is always nice for primary. Large opening makes cleaning a breeze - no more need to soak in PBW for hours, just use unscented soap and a sponge to wipe it down. The large opening also eliminates the need for a funnel when pitching yeast/dry hopping/adding fruit. The cap can be a bit difficult to remove if you screw it on too tight, but not enough of an issue to take off a star. Great fermenter, and cheap! I would still recommend it if it were twice the price! Seriously, if you're still using a glass carboy, do yourself a favor and pick up one of these. So I have tried all sort of fermenters. I have started with glass. Easy to see/clean, but have to be careful (use box crates at all times!) and difficult to add a lot of hops or other additions. Plastic buckets are the cheapest and worst solution in my opinion. Can never trust those lids to close properly, air could always get in over time. Scratches in plastic walls will start harboring bacteria, and transfer from bucket is a mess, in my experience (can never guess where trub line is). In fact, for this reason, the fermenter should be transparent. I tried fermenting in kegs too, and it's the same issue. I need visual cues of fermentation process and see what I am transferring. Better bottle IS better, fairly easy to clean (just fill with warm water and oxyclean - don't use brush! ), transparent, light, won't shatter. But opening is a bit too small for hopping and oak etc. And volume is too small - worry about blow-off tubes etc. 7G Fermonster solves all these problems. Larger size (more like 7.5G really) means rising krausen won't cause a "beer volcano" when you fill 6 or even 6.5G of beer. Huge, I mean YUUUGE opening means you can easily add hops, fruit, oak and take them out too (with glass and better bottles you may have to leave the bags in once it adsorbs water). And easy to clean too. And still transparent and safe. 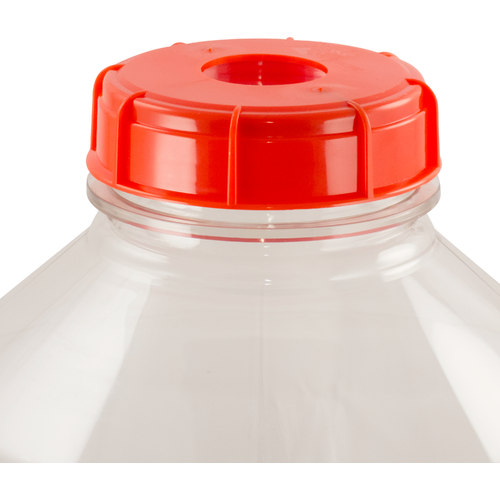 The lids close very securely, thanks to O-ring system and if you drill an extra hole in a stopper you can do closed transfers just as easily as with better bottles or glass, using sterile siphon. I have been brewing in a spigoted 6 gallon bucket for the last year and it has served me well. 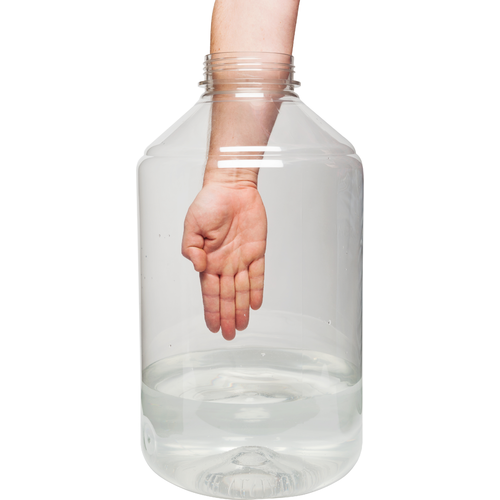 I wanted a clear vessel that i could see into and be able to clean the inside with my hand. The fermonster was just what I was looking for except I wanted a spigot on the bottom for gravity flow. With the pictures on more beer I wasn't sure if my my arm/elbow would fit through the hole on top. After emailing more beer and asking if it would fit I ordered it and a rotating spigot https://www.morebeer.com/products/rotating-spigot-bucket-sediment-block.html that I would install myself. Once I received the fermenter (which arrived in lightning time as always) I was very pleased to see an area on the bottom that was dimpled and flat just for drilling and mounting the spigot and washer to seal on. After filling with water and making sure It had no leaks I realized I would need a way to carry it upstairs where my kegerator/ fermentation chamber is. I purchased a brew hauler to help with carrying it up and down stairs. The only negative I see with this unit is the volume markers are very hard to find and see. It really nice to see the activity while fermenting which was impossible in the bucket. The screw off lid will make dry hopping a breeze. Here is my beautiful new fermenter with spigot installed fermenting some Torpedo clone that smells awesome. +1 on not tighting the lid too much, which I did and very hard to loosen.